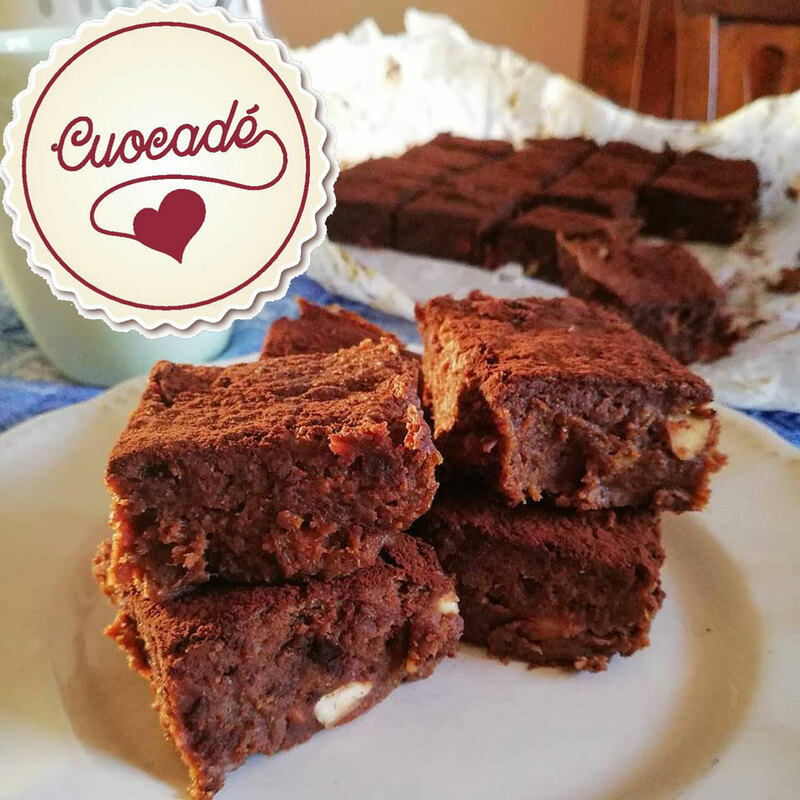 Sugar-free sweet potato brownies with almonds & chocolate – a healthy treat for this fall that (not only) kids will love! They’re delicious for us, too! Made with sweet potato, raisins, almonds and dark chocolate. Cut the sweet potato into chunks, and boil for approx. 20 minutes until soft. Blend 90 g of activated almonds into a powder. Soak the raisins in warm water for 10 minutes. Remove the raisins from the water and blend them into the purée, too. Add 60 g activated almonds into the mixture and blend until they’re cut into small pieces. Pour the mixture on a greaseproof oven pan and flatten well to a 2 cm thickness. Bake in a previously heated oven at 180 degrees C for 25 minutes. Take out, sprinkle with cocoa powder and cut into squares. Alice Scarmagnani is an Italian cook, who runs a project called “Cuocadè“, which focuses on creating recipes with – and for – children (being inspired from the Montessori educative system). Follow her on her Facebook page, and Instagram channel to learn a little bit more about her project. Vegan almond cookies with apples and chocolate chips: healthy, sugar and gluten-free!